Comcast is an American international telecommunications conglomerate. It is the largest internet service provider, cable television, and broadcasting company in the world. It’s also the 3rd largest telephone service provider and the 2nd largest pay-TV company in the U.S.
Ralph J. Roberts, along with his business partners, bought the American Cable Systems in 1963. In 1969, when the company was re-integrated in Pennsylvania, it was given a new name: Comcast. In 2001, it became the largest American cable provider. Today, the company has thousands of stores nationwide. Xfinity, the brand that made them the largest cable T.V. provider worldwide, has several stores across the U.S. They currently have over 153,000 employees and have been given hundreds of awards. When it comes to employee benefits, Comcast provides basic and customizable insurances. This includes dental and medical, 401k savings plan, discount tickets, perks, and life milestones. In addition, their full-time employees get to enjoy free internet and digital TV. Many people like working at this company. Besides the numerous benefits, employees can also enjoy a home-like environment while doing their job. The majority of its staff comments that the management is nice and approachable. How old do you have to be to work at Comcast? They hire interns, part-timers, and full-timers; however, candidates must be at least 18 years old. Before you apply, make sure to bring all needed requirements. Comcast offers various jobs in diverse settings. They hire workers at branch offices, corporate headquarters, working stations, retail stores, and call centers. The working environment depends on the tasks given and the duties performed by the employee. The company offers various low-level, entry level, and managerial positions. Their offices are always in need of associates and representatives. Field technicians are also in demand. Regardless of the position, Comcast employees can enjoy benefits, training programs, and high salary. Retail Sales Associate: Associates work in retail stores where clients may buy or avail services or products. Like conventional salespeople, retail sales associates must identify and probe for customer needs. This is for making appropriate product recommendations. They are also required to answer product features, pricing, and billing. They also must work overtime on some instances. Field Technician: Technicians provide home service to clients. They drive company vehicles and transport the equipment necessary for repair or installation. Field technicians also perform maintenance and installation duties. In addition, they also respond to customer inquiries and provide product information. Customer Service Representative: Call center agents communicate with customers over the telephone. They must be knowledgeable about the company’s products and services. This job involves providing assistance, answering customer queries, and fielding incoming calls. Representatives also set up appointments for fixing or installing internet and cable services. Sales Consultant: Sales consultants often answer customer questions regarding a specific good or service. They serve as a liaison between the manufacturer and customer. Sales consultants meet customer needs and sell products. They also demonstrate product features, assemble displays, and follow up with clients. This job also requires an individual to work with other employees to maintain product quality. Rep 1, Materials/Warehouse: Representatives track administrative tasks in the warehouse. Handling customer accounts and orders, coordinating materials and equipment processing are responsibilities of warehouse representatives. They oversee the preparation, distribution, and inspection of customer equipment. This involves conducting inspections, issuing tools to field personnel, and supervising material handling. They also handle receiving and shipping responsibilities. Material Handler: This job requires an individual to process the production and distribution of products. Their core responsibilities include staging finished products, pulling items from inventory, and delivering materials and products. Additionally, their duties include locating supplies and equipment and maintaining in-process inventory. Furthermore, handlers also verify product codes, prepare the shipment, and receive credit-return materials and supplies. Warehouse Analyst: Warehouse analysts make recommendations and processes any necessary improvements for the warehouse and its stocks. They are responsible for making regular reports for several departments. Warehouse analysts also assist in budgeting, forecasting, and financial planning of materials. They review end inventory report and organize monthly inventory in storehouses. They also work with XPO associates regularly to assist with the shipment. SMB Direct Sales Representative: Assisting Comcast Business Services, SMB direct sales representatives act as business partners to customers. They help small and medium-sized businesses to increase their revenue and sales. Representatives also assist in enhancing customer satisfaction and experience. They must be able to work utilizing established procedures. Retail Service Consultant: Consultants in retail service develop sales objective and provide customer service. They handle administrative tasks for sales. This includes completing customer warranties and contracts, accepting payments, and pulling products from stock. Salespeople also file completed orders, send customer feedbacks to the chief commercial officer. Business Analyst: Business analysts develop, organize, and support delivery elements through requirement documentation and user stories. They identify resource and capital requirements for small-scale IT projects. In addition, they also create cost-benefit analyses, redesign ineffective workflow, and assess projects. To document and define project scope, business analyst work with strategic business units. Comcast requires their applicants to visit the Comcast website and apply there directly. Through that portal, they would be able to check out various job openings. Note that they would need to create an account first before they can complete their application. After that, they must create a candidate profile, send their documents, and fill up questionnaires. In-store applications are also accepted, but this depends on the store manager. When creating a candidate profile, the applicant must include all her characteristics, skills, and experiences. This is because the profile can be used to apply for two or more job openings. In addition, the resume must be customized for the desired position. It must be factual and highlights work experiences relevant to the chosen job. When it comes to the interview, candidates need to be confident, but humble. They must answer questions truthfully and listen attentively. Companies value honesty the most. Therefore, answers to queries must be accurate with the information provided in the resume. Comcast utilizes its leadership, experience, and creativity to mold the technology and media industry. This company provides customers the most advanced technologies in the telecommunications industry. They connect loved ones to each other using innovative ways. 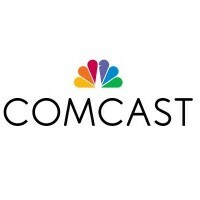 Currently, Comcast is a partner to numerous well-known telecommunications and cable companies. One of them is Time Warner Cable, the former 2nd largest cable company in the U.S. Their continued expansion provides customers with new and customer-friendly deals. Comcast is so popular because of Xfinity, the brand that brought staggering revenue to the company. They also own Universal Pictures. It is the film studio that have produced some of the most popular movies of all time. Jurassic World, Despicable Me 2, and Furious are only some of the popular films that they have created. Furthermore, the company is also involved in several partnerships and philanthropy. The Comcast Foundation, NBCUniversal Foundation, and Comcast Spectator Charities are some examples of their charity endeavors. Recently, they have donated over $26 million dollars to non-profit organizations, human welfare programs, and needy individuals. 1 How old do you have to be to work at Comcast?